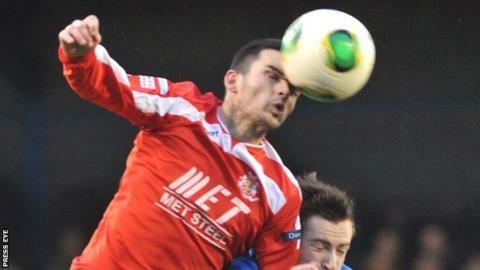 Neil McCafferty is one of four Portadown players to leave Shamrock Park after their contracts expired. The 29-year-old former Dungannon Swifts midfielder departs the Premiership club along with Ryan McStay, Matthew Rooney and Josh Barton. "After four good years at Portadown the manager has decided to let me go," said McCafferty on Twitter. Ports boss Ronnie McFall is remaining with the club after agreeing a new two-year contract this week. "I would like to wish the players all the best for next season," added McCafferty.